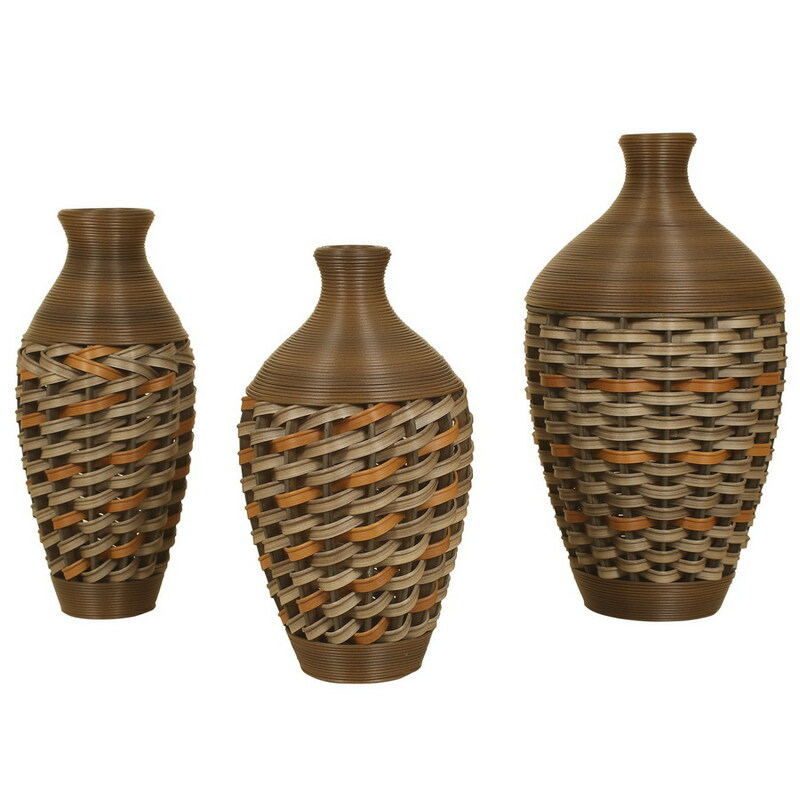 Use alone or in a grouping, this brown and soft blue wicker set of 3 floor standing vases will match any decor. If you would like, add your favorite dried flower arrangement. 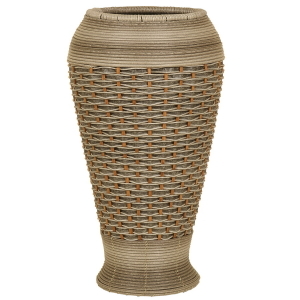 Largest vase has removable top to accommodate larger arrangements or to use as storage. Imported.